21,834 others viewed this post. 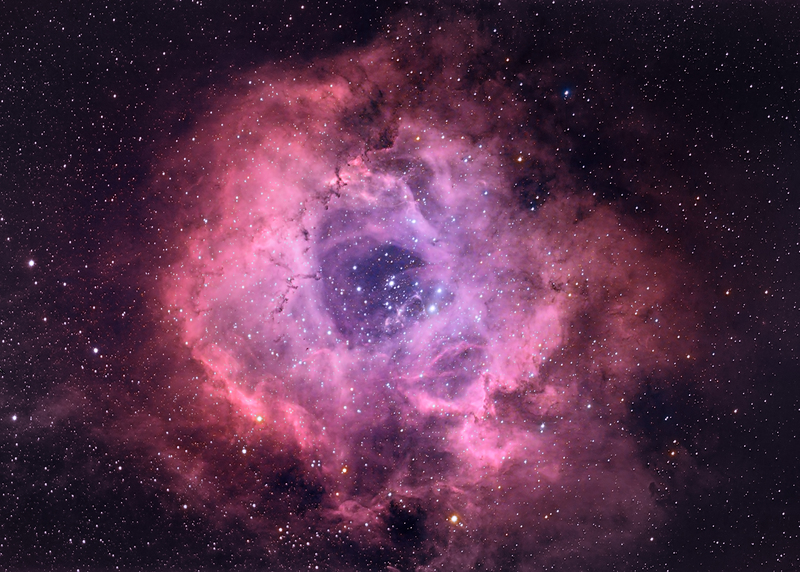 I just finished this Rosette nebula photo just in time for Valentines Day. I would’ve given it to my wife, except it probably represents more time I’ve spent by myself in the observatory rather than our romantic coupling. In any case I managed to capture this image over several nights as a 2 panel mosaic with the insane 11″ Celestron RASA. Everything that could go wrong over those nights, went wrong. I was using new software and drivers which glitched, my dew shield fell off ruining 30 mins of data, I left the CCD cooling off which leeched noise into the images and a sudden tropical storm saw me scrambling for the tarp while it started raining on my gear. So don’t look too close.. the image is filled with artefacts and issues. What should’ve taken a single night took about 5! This image is combined in HaRGB using PixInsight and Photoshop. About 1 hour in Ha and 40 mins in RGB.